RecruitMilitary is collaborating with Google Cloud to change the way jobs are found by military-trained talent. By working with Google Cloud to integrate their search and artificial intelligence into our job board, RecruitMilitary can take the guesswork out of the job search process. 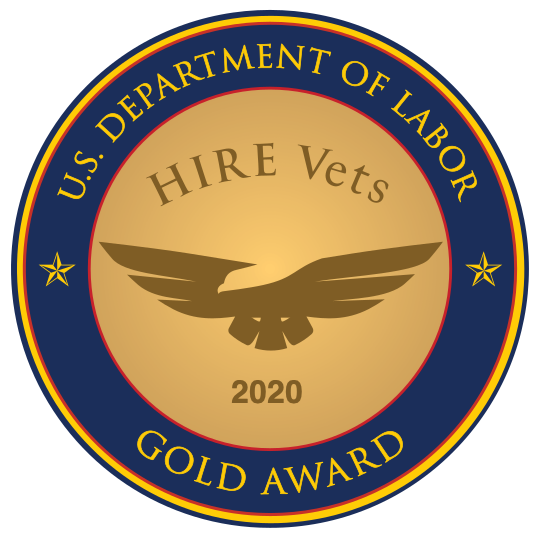 These enhanced search capabilities will help veterans find jobs that more closely match their experience and interests. Powered by Google’s Cloud Talent Solution, transitioning service members using RecruitMilitary’s job board will experience a refined search that’s powered by Google’s machine learning algorithms and built-in military occupational specialty (MOS) understanding to civilian job matching. Google Cloud has developed a new feature in Cloud Talent Solution that allows users to search by U.S. military occupational specialty code (MOS, AFSC, or NEC). Transitioning veterans can input their MOS code to see available civilian jobs that are relevant to their skills gained in the military . What’s more, machine learning will help the system to get smarter as more and more veterans use the new search feature by understanding what similarly-experienced veterans have found to be interesting careers to explore. The new search function is key to those service members who are actively seeking new career opportunities but are unsure of where to begin. It also delivers a strong starting point for newly-transitioning veterans as they begin their post-military career search. In early testing with Cloud Talent Solution, we’ve seen more than a 13% increase in veteran job seeker job applications, and search volume by users is up more than 10%. Side-by-side comparisons on the RecruitMilitary job board have delivered 50% more potential positions for veteran job seekers to consider. Finally, the potential match to the job seeker is more refined across all ranks of the transitioning military service member audience. The new search function greatly assists military personnel who are actively seeking new career opportunities but are unsure of where to begin. It also provides a super-charged running start for job seekers who are new to the civilian job search process. This functionality will make it easier for veterans across the board to find the next step in their careers within the civilian workforce. According to the U.S. Department of Labor, the veteran unemployment rate continues to steadily decline – which means military trained talent is in high demand by civilian employers. Google Cloud and RecruitMilitary have made it easier for both job seekers and employers by upgrading the job search and job placement processes. This is a great win for veteran job seekers who want to find meaningful careers. We’re excited about the early data we’re seeing, and we’re confident that this partnership will deliver more meaningful connections between employers and veterans seeking new careers. Employers will more quickly add great talent to drive their growth, and veterans will have more relevant options at their fingertips.